Shopping is only 4 km away in nearby Hastings. Part of the world's longest network of recreational trails runs right through Dreamland Resort. 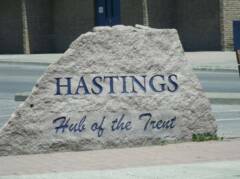 The 33 km Lang-Hastings trail (part of the Trans-Canada Recreational Trail) has been widened and upgraded with limestone screenings from Hastings to Peterborough. Click here for a full description and photos of the Lang-Hastings trail. Note: In addition to the information found on the trail website, we have confirmed that disability scooters are permitted on the trail. 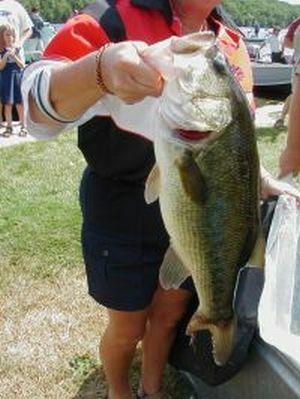 The World Fishing Network representatives arrived in Hastings on June 19th to present the $25,000 prize to the Hastings Environmental Group. 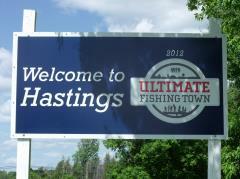 This followed the previous annoucement in December 2011 when Hastings was named one of the top five fishing spots in Canada by the World Fishing Network. Click here to view the original nomination by Robyn Harrison. Enjoy tennis and other recreational sports at the new Field House in Hastings. Harness racing and slot machines at Kawartha Downs. Visit the Lang Pioneer Village. Golf at Oakland Greens 10 minutes away. Golf at Bellmere Winds overlooking Rice Lake. 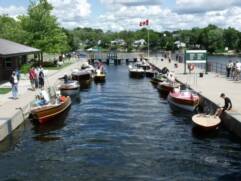 Visit the famous Peterborough Lift Locks. Concerts in the barn at Westben Theatre. Visit the Indian River Reptile Zoo. Experience part of Canada's maritime history at the Canadian Canoe Museum. Dreamland Resort is a perfect base for your visit to the annual Havelock Country Jamboree. On the third weekend of August, plan to have a noon-time meal at the Warkworth Long Lunch. The traditional buffet BBQ lunch will be changed to a Food Truck event for 2017. Check their website for details. Spend your Thanksgiving Weekend at the Norwood Fall Fair. Explore the Campbellford area including one of Ontaro's last cheddar cheese factories at the Empire Cheese factory , or experience a livestock sale at Hoard's Station. Clicking on the Asphodel - Norwood logo will take you to a Business Directory Listing of many services and businesses in this area which are located north of the Trent River and Rice Lake (excluding the village of Hastings). Clicking on the "Welcome to Hastings" image will take you to a Business Directory Listing of many services and businesses located in the village of Hastings. We are located 4 km west of Hastings Ontario, between Belleville and Peterborough. Enjoy several local attractions - all within about a 30 to 45 minute drive from Dreamland Resort.